My walnut muffins have walnuts incorporated three different ways. Great if you have too many lying around that need to be used. Here’s a recipe to get your week started. With an abundance of walnuts leftover in my pantry it was only natural that I would put them to use on the blog. It had been ages since I had produced some kind of muffin recipe so here is todays creation. In case you’re curious they’re “triple” because they have a combination of walnut meal, roughly chopped walnuts and a walnut crumble! Three times the walnut flavour! 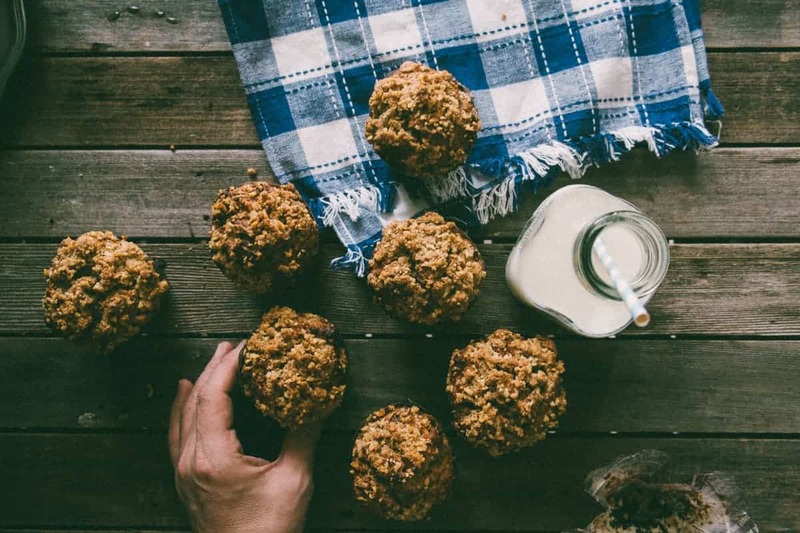 I’m still going through my spelt flour “phase” and these triple walnut muffins contain a combination of white and wholemeal spelt flour, olive oil, yoghurt and a myriad of warm spices. Autumn is sort of here so these are my celebratory treat! Enjoy them with a glass of milk, a “cuppa” or just on their own (smeared with butter of course!). Enjoy your week and I’ll see you soon. 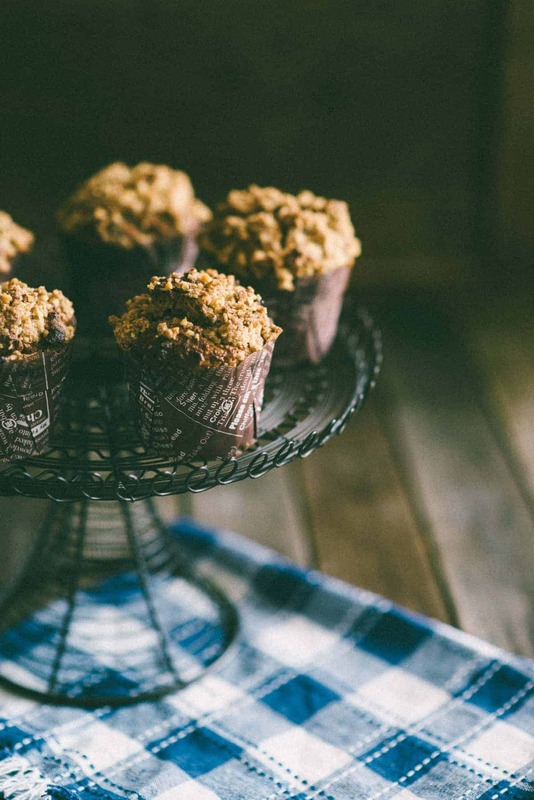 Muffins with triple the walnut flavour. In a large bowl combine the spelt flours, walnut meal, chopped walnuts, baking powder and spices. Stir well and set aside. In a large jug combine the wet ingredients and using a fork whisk well until incorporated. Add the wet ingredients to the dry ones and stir until just combined. Spoon the muffin batter into the muffin cases, filling them close to the top. Combine the crumble ingredients in a food processor until the mixture resembles fine crumbs. 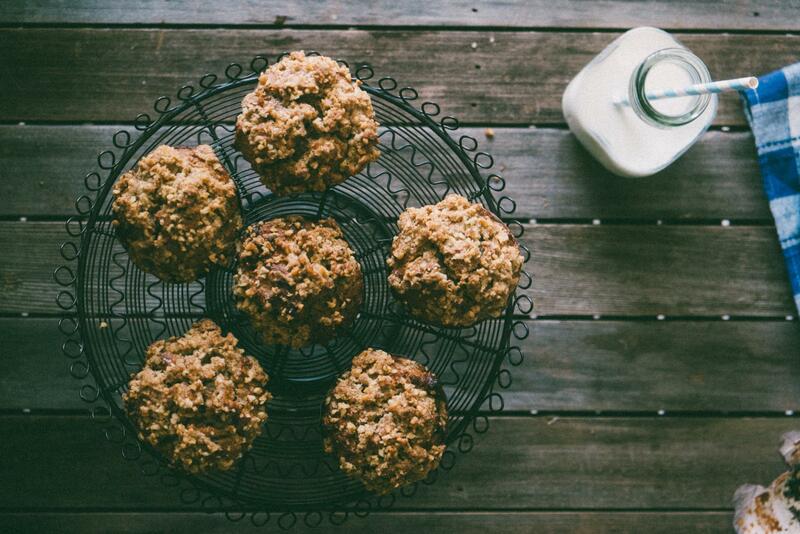 Divide the crumble mixture and sprinkle on top of muffins. Bake for approx. 20 mins until a skewer inserted comes out clean. Allow to cool for 10 mins before tucking in.